Santa's newest helper. Spread some cheer. Brixton (Blizten's third couson twice removed) will make you and your dog wish dragons were real. Perfect for toss and fetch and encouraging exercise. 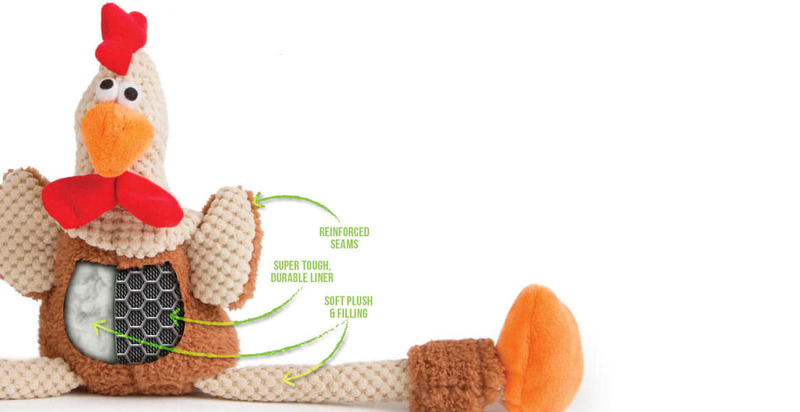 Brixton like all Go Dog toys is constructed with Chew Guard Technology. Chew Guard is patented construction technique, which features double stitched seams with 2 extra durable layers. Then topped with a Chew Guard lining to prevent the toughest of chewers from tearing them apart. Size 11" x 6" x 11"
Give your dog a toy that will make them wish Dragons really did exist!